Father's Day is just one of the best days for Dads and what's more interesting is that when gifts are pouring. 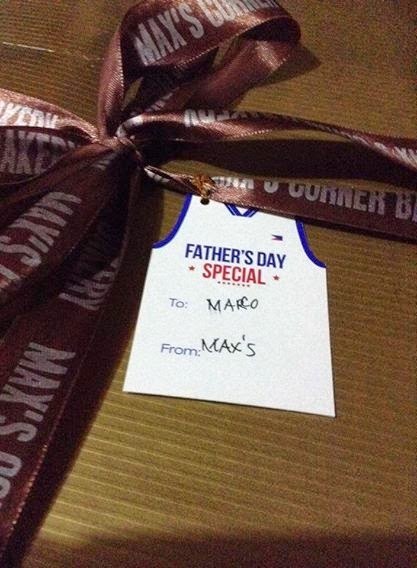 Yes, Dads get to enjoy the day with gifts from Max's. 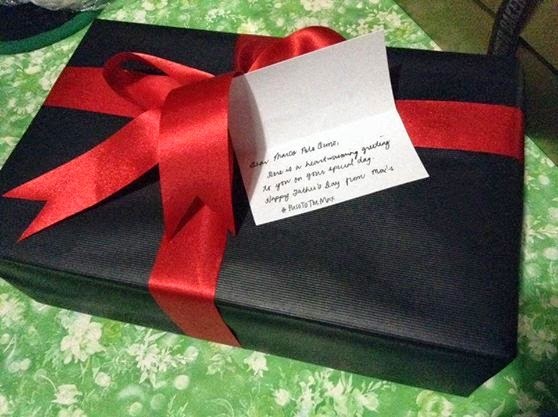 Days before the day of Dads, a wrapped gift came to the house with an interesting box. 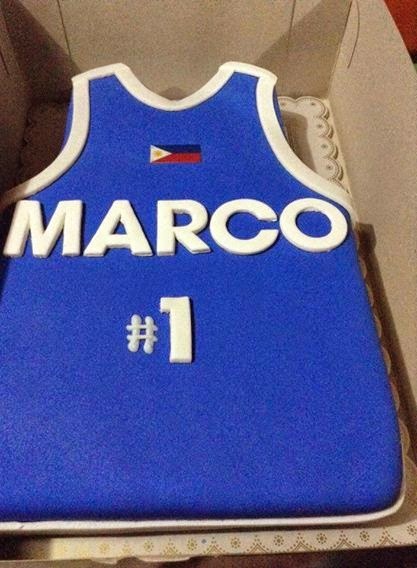 The interesting box was a cake from Max's Corner Bakery and what's great about this cake is that it's a personalized cake, a jersey designed cake with a name on it. Of course there's gift certificate from Max's Restaurant to let Dads enjoy the day with the family. 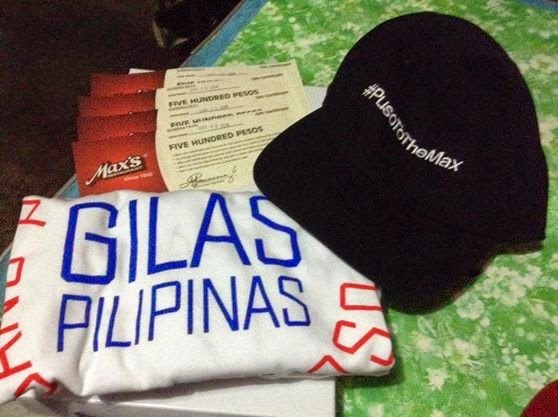 Aside from the GC and cake, there was also premium items like the Gilas Pilipinas T-Shirt and cap with the #PusoToTheMax. 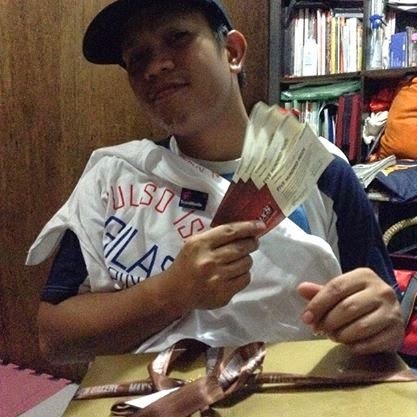 This is to show support to the Gilas Pilipinas' journey to Spain as they face other teams at the FIBA World Cup. It was like being with the team. On the day, Father's Day celebration was simple. It was just a lunch and stroll at the mall that makes everyone happy. 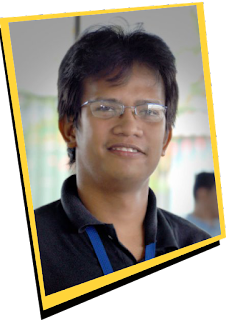 It was a great gift for Dads like Kwento Ni Toto. 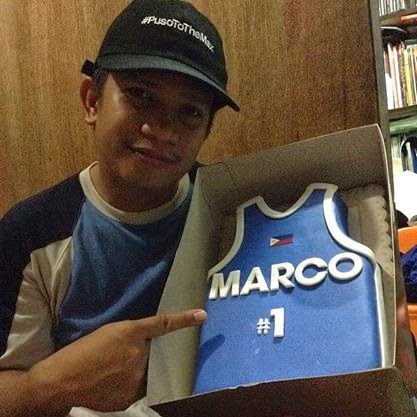 Thanks to Max's Restaurant and Max's Corner Bakery for the gift!